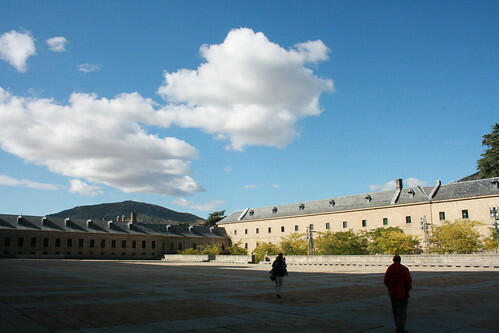 Time out in San Lorenzo De El Escorial. This is like Spain’s Fatehpur Sikri – a king’s fantasy. 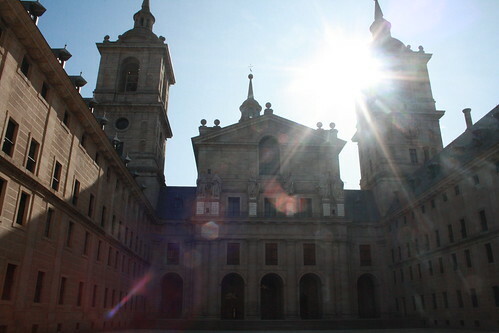 San Lorenzo De El Escorial have dozens of tombs; plus a monastery and a palace. 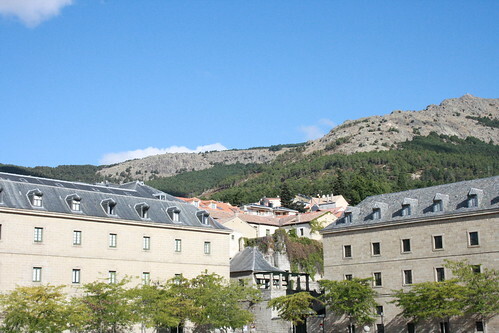 Founded by Philip V, the first monarch of the Bourbon dynasty, it has served as the residence as well as the burial site for the royalty for 500 years. 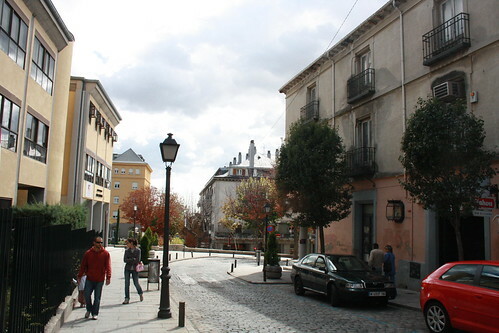 Once the favorite address of upper class Madrid, this windswept village at the foot of Mt. 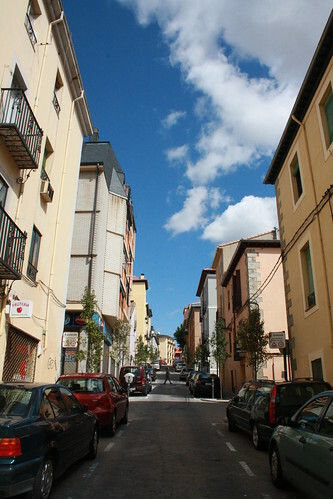 Abantos is 45-minutes drive away from the Capital. 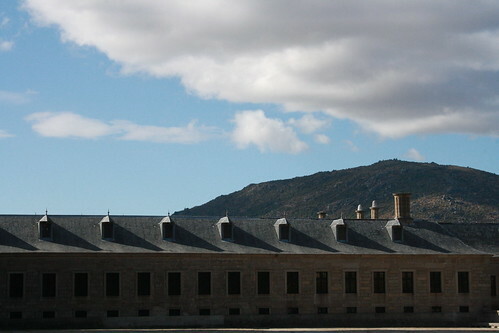 Unlike Sikri, Escorial has survived. The dynasties have died but the village has lived on – with style. There are monks in the monastery, villagers in the village. There is a bookstore, a newspaper kiosk. 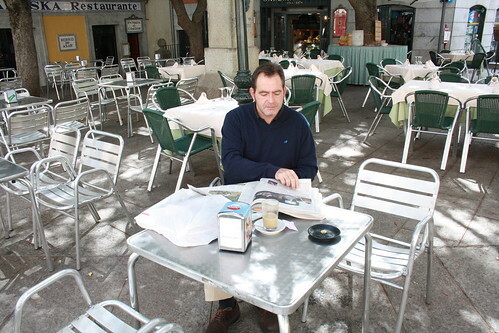 There are cafes, hotels, residential apartments. The church in the palace-monastery complex still conducts the Sunday mass. There are traffic lights on the village lanes. Old couples walk hands-in-hands. Young couples stroll with their children and pets. This village feels like a relic but has ATMs and car-washing garages. The present is living here, along with the past. 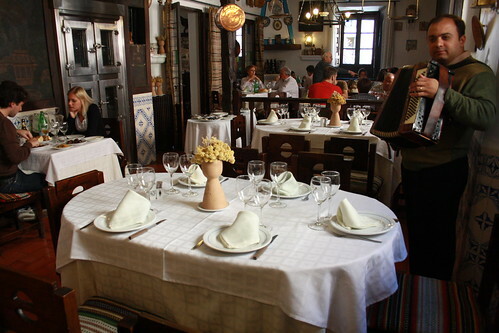 You could spend an entire day walking in the alleys, reading in the street cafes or having multi-course meals in ancient restaurants. But that is possible only if you don’t take much time in the palace complex. In the royal apartments there, the king’s bed, desk, curtains, carpets are still there. That’s missing in our monuments. Step into Red Fort’s Diwan-e-Khaas in Delhi and all you see is an empty chamber. Where’s the throne, the Kohinoor, the chandeliers? Who took them away? 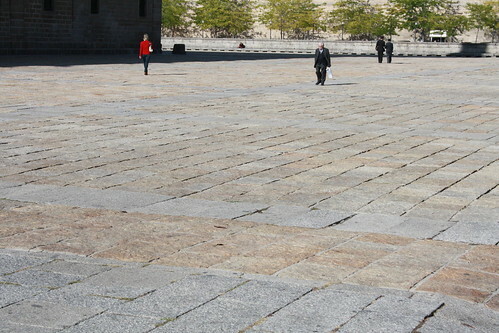 Why our monuments look so dead when the Escorial is so full of life? Being the ground zero of what was once the world’s biggest colonial empire, you sense that power, glory and ruthlessness sheltering in its vast cobbled ground, in its giant staircases, austere corridors, tall spires. Yes, you feel somewhat the same sentiment in Sikiri, Red Fort and Purana Quila, too, but they feel so ruined. Perhaps we could but our ruins have been our business since 1947 when the British left India. 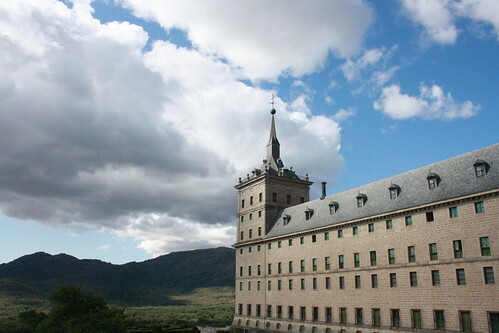 And while touring Escorial, I was ashamed that we haven’t done our job even half as well as the Europeans. keeping our monuments protected is one way to serve India,Today our love is etched on monument walls , our names scribbled on gates ! Nice article and beautiful pics as usual! Keep posting blogs ,waiting to read the next …. Where is the furniture and the diamonds from India’s castles? Perhaps British Museum? 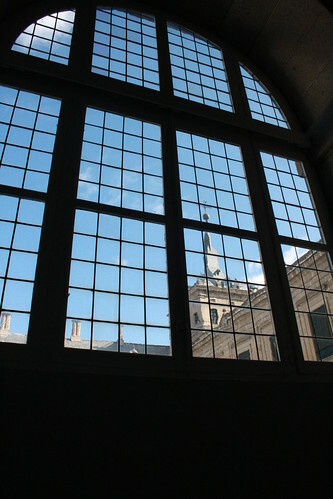 Victoria&Albert Museum? “Private collections”?